We are offering our clients with the best quality Paper Plate Making Machines. These are easy to maintain and produces perfect dies. They have high tensile strength and are tried and tested on various parameters before been delivered. 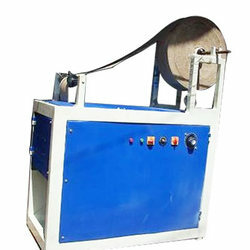 Paper Plate Making Machines offered by us is completely eco-friendly and has been acclaimed as an environmental protection machine. This machine use paper instead of plastic to manufacture Biodegradable and eco-friendly paper plates. It comes with multiple stations with automatic mechanical equipment to make one-side (single) PE coated paper plates with utmost finesses. Our clients can avail this range at industry leading prices within committed time frame.